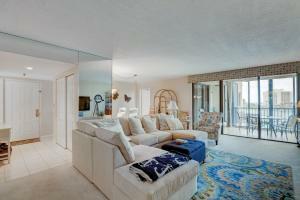 19800 Sandpointe Bay Drive #602 Tequesta, Fl 33469 has been sold. You can view available homes in Sandpointe Bay. 2 BEDROOM 2 AND A HALF BEDROOM CONDO IN THE RARELY AVAILABLE ''2'' STACK! SWEEPING VIEWS OF THE INTRACOASTAL AND THE OCEAN! 2 MASTER SUITES WITH ON SUITE BATHROOMS AND ACCESS TO THE BALCONY. MASSIVE WALK IN CLOSET! POOL IS DIRECTLY ON THE INTRACOASTAL. DAY DOCK FOR FISHING, DAY DREAMING, OR MEETING UP W FRIENDS! FANTASTIC COMMUNITY ROOM WITH 2 GRILLS FOR COMMUNITY USE! COVERED PARKING AND SPACE FOR BIKES, PADDLE BOARDS AND KAYAKS. LAND AT PBIA AND BE HOME WITHIN 30 MINUTES! COME AND SEE! GREAT REVENUE IN PLACE FOR SEASON 2019.NEW CARPETING ON THE WAY!! 19800 Sandpointe Bay Drive #602 located in Tequesta, FL is a condo with 2 bedrooms, 2 full baths and 1 half baths.The Condo at 19800 Sandpointe Bay Drive #602 was built in 1982 in Sandpointe Bay and offers a 0 car garage. This Sandpointe Bay Condo offers pool, clubhouse, elevator, extra storage, community room, sauna, bike storage. 19800 Sandpointe Bay Drive #602 Tequesta, Fl is currently listed for $449,900 under the MLS# RX-10418085. This Condo has been put on the Tequesta MLS system and currently has a status of SLD.